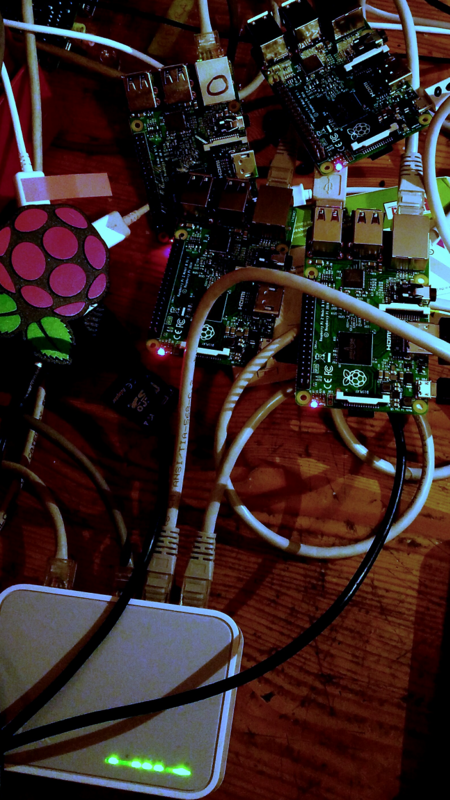 Over the winter nights I've been working to set up a straightforward procedure for anybody to build a cluster out of Raspberry Pi boards, the PiHub, a few USB (power) leads, a cheap un-managed LAN box and a couple of LAN cables. By using MPI for Python via the Rasbian python-mpi4py package it is now within reach for us all to do both distributed computing (using MPI) between RPis as well as threaded (using OpenMP) on the 4 cores of the Pi 2. Initial instructions are available now, with worked examples to follow in a week or so.